When a company is added to the S&P 500, it is like being drafted by the major leagues. Warren Buffett, for one, invests in the S&P 500 because he sees it as a perfect microcosm of the entire economy. If you discover women represent only 21% of boards of directors on the list, that sounds more like a microcosm of the local sports tavern. And when you examine the companies more closely, you may be surprised by some of the biggest gender offenders. The search engine giant isn’t reticent about advocating diversity, especially on the engineering floor. That’s for ‘the little people.’ Higher up, on billionaires row, the male status quo is safe. That is why, 19 years after the company was founded, Google’s board is 77% male, the executive committee is a male trio, and the four senior officers are a male quartet. In the Google orchestra, women play second fiddle. Google and Facebook are like the Wizard of Oz, don’t look behind that curtain. When gender rules are for ‘them not us’, it leads to dissent or in some cases, radicalization. Is it any wonder James Damore’s diversity memo sent Google into a social media meltdown? The facts of the memo have been hotly debated, but the ruckus was due to Google’s clumsy response — they fired the engineer instead of dealing with the issue. Since 1972, when Katherine Graham was named the first female CEO and director of a Fortune 500 company, boards say they want to vastly increase the number of women. Yes, really. Based on the GAO’s or Government Accounting Office findings, it’s not happening. At our current rate, it will take until 2057, and Elon Musk will be holding a board meeting on Mars and we will be asking where are the women on Earth’s boards? This isn’t a ‘go girl’ program, it is a life changer. The problem is multi-factor (see my second part on the media’s role) and there won’t be a one step solution to the problem. We must start, however, and the prescription needs to be bold and simple. The first problem is proper training for the boardroom. Otherwise, we cull from former CEOs, which is how we got to where we are now. During times of war, the country created “90 day wonders” or officers trained to become fighting machines in a span of months. They won the War, by the way. We can do the same for the boardroom. Let’s call it the Board Corps, modeled after the Peace Corps. The purpose is to train aspiring women (broaden it to all demographic groups, just keep the balance issues in mind) to learn how to conduct business in a multi gender and ethnic society. We need people of both genders with global eyes and ears to advise the directors inside the boardroom. We also need to broaden the ‘spec’ that keeps many qualified women out of the boardroom by starting with diverse global backgrounds. Look beyond the Ivy League elite, where women have careers identical to the men, and the result is sameness in a different outfit. Then, make sure to ask Congress and the State attorneys general to tamp down on a plaintiff bar disagreeably attached to litigation against boards. Rather than fighting for shareholders, they turn board directors into change fearing automatons. The plaintiff bar enriches itself because they tithe the very politicians who support their legal extortion. That has to stop. Finally, we need boards of directors with a bias towards action, because our problem isn’t lack of will, it is lack of urgency. The media loves to write about the boardroom. It would help if they understood what really goes on there. For a business journalist, writing about corporate governance is like a muscle car aficionado doing a story on the Prius. The plain truth is they’re bored by the boardroom. It is why The New York Times and the Washington Post spice up corporate governance stories with a gender angle. According to the NYT, Sarbanes Oxley must seem like thin gruel compared to the more stirring theme, gender bias in ‘the boardroom to the bedroom’. Yet, doesn’t it seem a little a curious, the media rarely reaches out to actual board directors for their take on the subject? The reason is not complicated. Journalists prefer talking to consultants. They are always reliable for a deadline quote, and there is an army of them trying to eke out a living at $1000 per hour, and their phones don’t ring unless they get good press. It hardly matters the consultants aren’t serving on corporate boards and may be feeding confirmatory material in return for a nice plug. The result is to point the finger for gender imbalance at male bias, now confirmed by an expert. That would be fine, except for two things. This isn’t what really happens inside the boardroom. And by focusing on the wrong thing, we enable the real problem. When they look at the board, most journalists see a monolithic group of men fighting for the status quo, limiting women to token roles. But the reality is boards of directors delegate the job of selecting candidates to the Nominating Committee. Yet, the Nominating Committee has the highest representation of women and women chairs of any committee. When the Nominating Committee presents a slate, it has total discretion over gender. If women aren’t on that list, it is the Committee, and never the board, doing the deciding. The statistics don’t vary a whole lot when women are in charge. According to Spencer Stuart, of the 24 companies run by female CEOs, only two have female equality (or more) on the board. It becomes obvious looking at these data, the challenge of gender balance must be something other than reluctance because the will is there. So why not the way? The answer is simple, friction. Women currently represent 21% of Fortune 500 board directors despite well-intended efforts to change board composition. If the problem isn’t going away, getting at the root of it will require actual boardroom experience to challenge corporate governance conventional wisdom. (Disclosure: I have served on 10 public company boards). As you’ll see, the challenge isn’t storming the gates, it is making them open wider and remain open. So what are the real reasons vs. the myths that prevent women from serving on boards? Bias: False. The average big company boardroom is nearly 100% compliant in placing a few women on their boards. 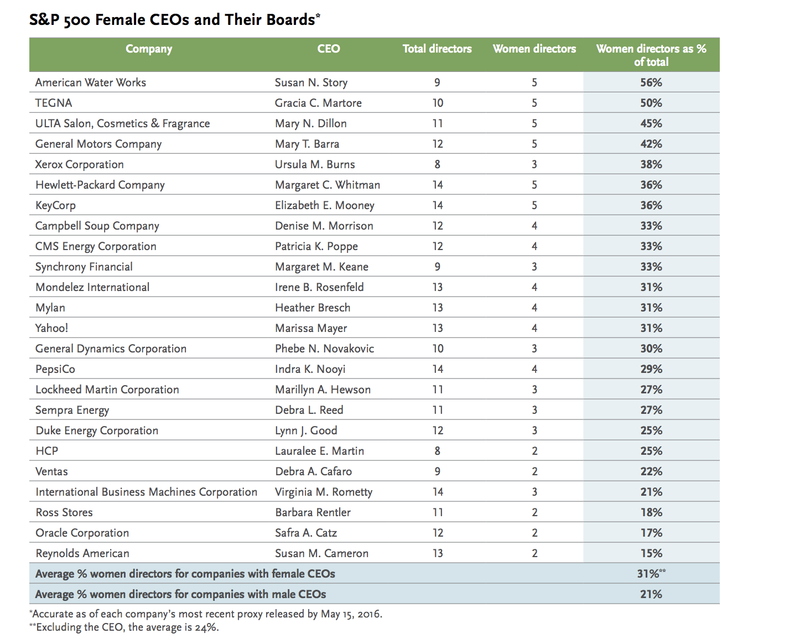 According to Spencer Stuart, only 1% of S&P 500 boards do not have a female director. The challenge is getting them to go from one to many — and fast. To remedy this, we need to deal with the problems below. Vetting: True. The process of bringing on a new director takes a year or more while the candidate meets individually with as many as 15 directors and members of the C suite. Directors are just as busy and have to travel great distances to interview. The turnstile moves slowly if your goal is to increase the flow of women. The answer is to have a squad of capable women candidates lined up in advance, just like a sports team drafting a player from the minor league (see part III of this article). Qualifications: True and False. You don’t need to be an accountant or an MBA, which in theory opens the boardroom door to women from different backgrounds. Ironically, it can cut the other way. Lacking objective criteria, the board becomes tentative and will often go with people it knows. Men know men. Changing perception from business credentials to what Warren Buffett calls business savvy will help. Hierarchy: True. If a CEO is rated superior to a CFO or a computer expert is rated higher than a marketer, more men will serve on boards. Not surprisingly, these skills are obsolete after a few years, so they should not be used as benchmarks. This is a holdover of both a military and an academic mindset and has no bearing on the capability of a board director. Litigation: True. With unlimited liability for directors, any sudden change in the boardroom — including bringing on a number of new directors at one time — catches the watchful eye of plaintiff lawyers. It isn’t coincidental the plaintiff bar is a huge contributor to political campaigns. Every time a board is sued, the politicians’ cash registers ring. Bring this to the attention of your Congressperson or Governor. Turnover: True. Despite the fact that female representation among new directors rose to 32% in 2016, average director tenure is in the range of 10–20 years. The answer to increasing the flow of new directors is either term limits (I suggest a maximum of 10 years) or board directorship limits (maximum of 2 outside boards per director). Minority: False. (As in a voting minority). While it’s true that a minority of women on a board can be outvoted, boards operate on unanimity, and they won’t stop debate until there are no dissenting votes. Even as a minority, women have a strong say. Seasonality: True. Directors are appointed once a year, only so many can be added on that occasion. This is one we may have to accept. Annual meetings aren’t likely to be held semi-annually. Cost: True. The cost of a single board recruitment can run high as $100,000 or more. Spending a half million dollars to recruit 5 new directors is a nonstarter. Having that squad of candidates in my second point above is the answer. Experience: True and False. Succession and compensation plans are pre-packaged by consultants. This lessens the need for specific experience and theoretically, diverse backgrounds should be welcomed. The flip side is when boards choose women, they draw from a very small universe of former CEOs and CFOs. Most of them are ‘star directors’ who hold several board seats, reducing the opportunity for more diversity. Board limits would help, more creative selection criteria would be good, too. Size: True. Yes, it does matter when it comes to boardroom gender. Average board size is about 8 to 10 directors. It means turnover is complicated by tenure and the fact directors don’t leave boards prematurely. In fact, they may never leave until retirement, which hovers around age 75. Term limits and earlier retirement ages are answers, but expanding boards and developing a two tiered board structure (see part III of this article below) would help as well. Regulation. True. After Sarbanes- Oxley, boards no longer have lawyers and bankers associated with the company as independent directors. Women make up half the lawyers today and many investment bankers. That eliminates them if their firm has done any work for the company. Boards have to grapple with having more non-independent directors, which is highly controversial in orthodox circles, or set up a two tiered board that accommodates people with close working relationships with the company. Change the way a board thinks by starting with how it looks. Every board is different in its own way. Each will find a solution to diversity that works for its market, the company culture, and the times we live in. Below you will see my recommendation because the impediments that exist are very difficult to overcome from ‘within’ the boardroom (see part II of this article). 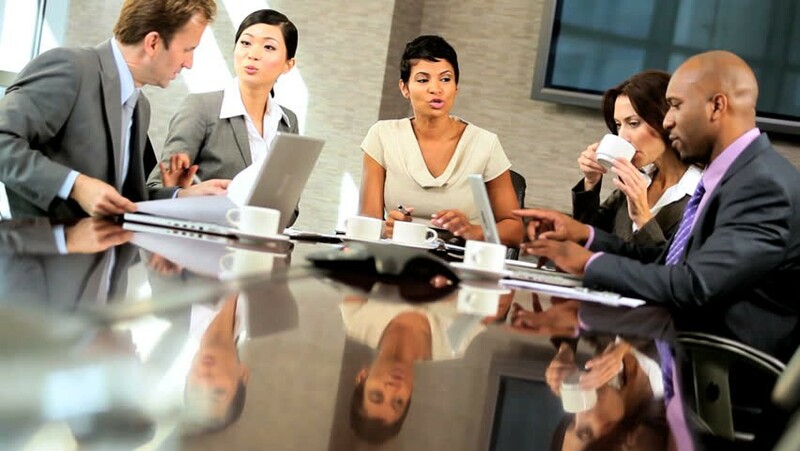 Diversity makes a significant difference in board competence. Directors who think differently react differently and can be the dividing line between success and failure. Alfred Sloane, the founder of General Motors, once dismissed his board because everyone was in agreement. He asked them to return once they were able to debate. Now the imperial CEO is a relic of the past, groupthink is behind every disaster that plagues the modern business world. Yet, as we hang our hats on race and gender diversity alone, it ignores another kind just as important, diversity of thought. The substance of this argument is if you draw directors from similar backgrounds and education, you end up with diversity in appearance and similarity in thinking. It means we have the same problems, with a new class of directors to blame. That leads to an inescapable conclusion — we need global diversity. Expertise in Asia, Latin America, and Middle East/Africa will also bring racial and ethnic diversity as part of the package. The challenge is how to operationalize given the logistics of travel from these parts of the world and frequency of board meetings. There is an answer, and it means thinking outside the boardroom box. How can you increase the number of women, minorities, and other missing ingredients from the board, find them on a global scale, train them as directors, and have a ready pool of qualified candidates? Here is how the math works: there are roughly 5,000 public companies and they convene an average of 10 board directors. It amounts to 50,000 directors in America, and it means we need to recruit 25,000 to achieve parity inside the boardroom. Convene a diverse group of men and women, with attention to diversity across all spheres and sectors. Importantly, be sure they are from around the world so they can act as the eyes and ears for the board of directors across multiple areas of expertise. Canvass all the key operating regions where the company does business for the brightest up and comers across gender, ethnic, and geographic groups. The list will probably come to a ratio of 100:1 to choose from. The goal is to convene no fewer than 10 people for every company. Drawing from four cohorts 1) experts from business at a senior level; 2) globally connected advisors from key regions; 3) social and community leaders; 4) professionals from the arts, academia, medicine, legal, and finance. The cohorts should think of themselves as boardroom consultants who meet annually, once at a board meeting and once in the home region or market, telephonically during the quarters without meetings. Identify disruptive trends and technologies in their markets. Each cohort and individual has a pulse on key issues affecting the company. The cost of the Board Corps pays for itself in a year’s time if my hunch about insights into the emerging regions and technologies is correct. After several years, it will be clear which individuals have board potential, and preparations can be made to recruit them on an as needed basis. Serve for periods of 2–3 years with nonconsecutive terms (so that termination from the board is not seen as signaling). Those who do not become board directors will be more like lawyers or auditors who do not make partner, but leave with goodwill and long lasting relationships with the company. It will have the added benefit of making thousands of global women and minorities better versed in business. Good for the planet, too. Directors have a fiduciary duty but collectively they have a duty to society. Gender fairness in the boardroom is on both of those ‘to do’ lists. Note: After Per Sarbanes- Oxley, compensating people for advising the company makes them ineligible to serve as independent directors (for a period of three3 years). Once the cohorts are ready to become directors, companies can create a second tier of non-voting board members or appoint them as non-independent directors. (Note: Google’s Eric Schmidt is a non-independent director).